The octet began with a dream. I found myself (in my dream state) in a small room surrounded by a small number of instrumentalists who were playing some very agreeable music. I did not recognize the music they played, and I could not recall any of it the next day, but I do remember my curiosity (in the dream) to know how many musicians played. I remember that after I had counted them to the number eight, I looked again and saw that they were playing bassoons, trombones, trumpets, a flute and a clarinet. I awoke from this little dream concert in a state of delight, and the next morning, I began to compose the Octet, a piece I had not so much as thought of the day before. The Octet was quickly composed. 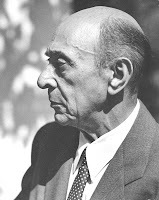 Though technically not a dream, Arnold Schoenberg experienced what must be termed an “out of body” experience after a heart attack in 1945 at the age of 71. Lying on the hospital operating room table, through the white light he saw himself hovering in space looking down at his own body. During this experience he heard what was to become the soft mercurial music that would ultimately find it's way into the beautiful coda of this last completed work: the String Trio, op. 45. It is said that the form of the String Trio revolves around “program music” stemming from his near-fatal heart attack and recovery experience. 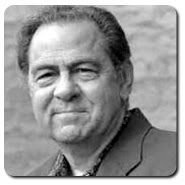 Harold Shapero had dreamed that he was in a car being driven somewhere near his home. At some point the driver just slumped over and died from an apparent cardiac arrest. He felt helpless to do anything. After hearing that story, Devoto relayed to me a couple of dreams that the late composer/musicologist George Perle had shared with him. 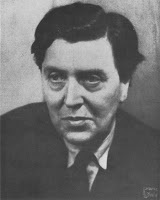 Devoto knew Perle well, since both are well-known as musicologists and as leading scholars on the work of Alban Berg. Perle was one of the few researchers to have seen the manuscript to the third act of Berg’s opera Lulu before Universal Editions published it. He wrote many letters to Alfred Kalmus of UE suggesting that it be released, since it was fundamentally complete except for the details of orchestration (lacking after bar 268 of Act III, Scene 1). Berg’s widow Helena, was Executor of the Berg Estate and had requested that UE not publish Act III. She had once asked Arnold Schoenberg if he would complete the orchestration, but the ailing composer declined that task after looking at the sketches. As a result Helena was steadfast in her belief that it could not be reconstructed from her husband’s existing manuscripts. However, the publisher secretly arranged with composer by Friedrich Cerha to orchestrate the third act for performance after Helena died, but kept it under tightly under wraps until she passed away. The terms of the Berg Estate would allow UE more latitude to ultimately publish the score in a form that they wished. 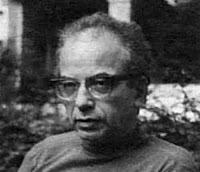 After Helena died in 1976, and the third act was published and premiered in 1979 by Pierre Boulez: nearly forty-four years after Berg's death. Perle’s dream is that he climbed up the stairs into the dark attic of a dirty garret. It looked very much like the set in the last scene of the opera Lulu, where the heroine, now living in poverty and working as a prostitute in London, would be brutally murdered by Jack the Ripper. 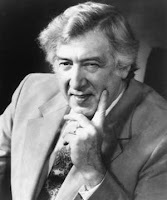 Soon after this event, Perle received a reprimanding phone call from the Tanglewood Music Festival director, Gunther Schuller. 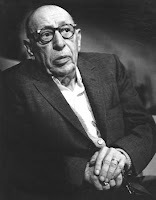 Schuller expressed grave concern about the delicate situation, and reminded Perle that this particular student had paid a lot of money to study with him at Tanglewood. That night Perle had a dream that he was walking down the main drag in Lenox, the cozy New England town where Tanglewood is situated. He saw a station wagon drive up. It was driven by Don Martino, and filled to the brim with happy composition students. Martino gets out of the car, and goes into a nearby shop. He immediately comes out with a large bag of marbles, and hands one to each of his composition students. That story reminds me of a dream the well-known Sw iss composer Ernst Bloch (right) is said to have had. 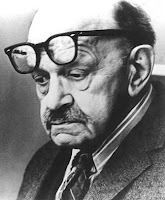 As all things are related, Bloch’s dream was relayed to me by composer Don Martino in his composition seminar at the New England Conservatory in 1978. Bloch was the teacher of Martino's teacher: Roger Sessions (left). The story of Bloch's dream may have passed down to us first through Sessions, and then by Martino. Martino (left) did a great job telling the story, and I can still hear his deep voice, fake German accent, and see his facial expression as he imitated Beethoven welcoming Bloch to the top of the mountain. Martino even looked a little like Beethoven, and this eerie resemblance struck me again when I visited his home basement studio not long after he passed away. You can find it in his study, on the shelf behind the piano - a plaster mask of his face made by a friend of the family. It was made toward the end of his life. 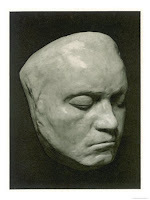 At first, I thought it was a replica of the famous Beethoven death mask (right), but I had to ask his wife Lora about the details, and learned that it was in fact of a life mask of Don . The Beethoven-Martino relationship existed on many levels. Martino was of course deeply impressed with Beethoven’s music, particularly the “Spring” Sonata for Violin and Piano Op. 24 and late works, such as the Piano Sonata Op. 109. He yielded an old reel-to-reel tape from his personal collection of a performance by a somewhat obscure pianist named Ernst Levy, who gave what he considered a transcending interpretation Op. 109 at MIT’s Kresge Auditorium during the 1950s. 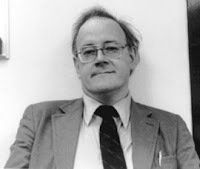 Levy was then a was a member of the MIT music faculty. Martino would often sing, hammer out themes on the piano, and quote Beethoven’s music in class and during lessons. He elucidated to the students in the composition seminar Beethoven’s working method, and tracked the composer’s tedious sketching process in stages from mere human doodles to the attainment of musical perfection and artistic enlightenment. It’s all documented in the composer’s telling sketch books. It’s not surprising that my composition seminar with Martino at NEC covered a wide-range of Beethoven-related topics. Aside from dream interpretation, there was a paranormal Beethoven moment worth mentioning. We got off on a discussion about an item of mail that Martino received from a total stranger. Someone, claiming to be a professional psychic, had sent him a letter and cassette tape. It contained what she said was a recently composed piece by Beethoven. 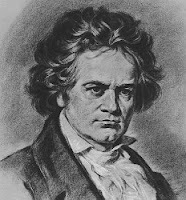 The psychic indicated that Beethoven had transmitted the music to her via radio waves. She would tune her FM radio in-between stations, and listen to the static while in a state of trance. Emerging out of the static she was able to perceive and capture a fleeting image of Beethoven’s ethereal music. Our class listened very intently to the recording. What we heard was a noisy snippet of an orchestral piece lasting only a few seconds long. But it sounded “mysterious” and nobody in the class could identify the origin. The general consensus was that the music, which was quite reminiscent of the musical impressionist Frederic Delius, was not something we’d imagine Beethoven composing – even with the benefit of the latest and greatest compositional tools and aesthetics of the late 20th century. Somehow Beethoven and the whole-tone scale just don’t go together. My final example of dreaming music relates to a story about Gunther Schuller. One of the anecdotes told in Don Martino’s compos ition seminar was about a trip the both of them took to Munich in the 1960s. Schuller was engaged to conduct Martino’s large orchestral work Mosaic, and the two of them sat together on an overnight flight to Germany. During the long trip, Schuller (who has spoken about receiving ideas for his works from dreams), sat in his seat half-asleep and fatigued from his legendary work-a-holic schedule. 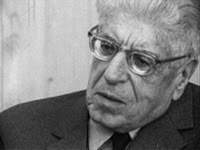 According to Martino, Schuller kept a large manuscript score for an opera in front of him. He would wake up for a minute, write down a note, and then fall back asleep. This asleep-awake one note at time compositional process went on for the duration of the flight. Perhaps we should pay more attention to our dreams.